My life is currently one big balagan. Isn’t that the most awesome word, and can’t you guess what it means? To me it is amazingly onomatopoetic. It sounds like what it is. A balagan. A mess. A big mixed up, tangled up, riotous mess. You remember my Noticing last week? I wrote about great words I discovered during my recent trip to Israel. I wrote about “haval al hazman” – a great compliment which means “a waste of time”. Well, balagan is another great word, which I will endeavor to use as much as possible now. So about my life as a balagan. My day job, running a non-profit, now runneth over. At least my annual gala took place this past weekend. Yay! I love the past tense! Took place. As in, done, finished, over! However, I am still putting dishes away after hosting my Passover seder – 5 course meal for 12 – and that was a week and a half ago. 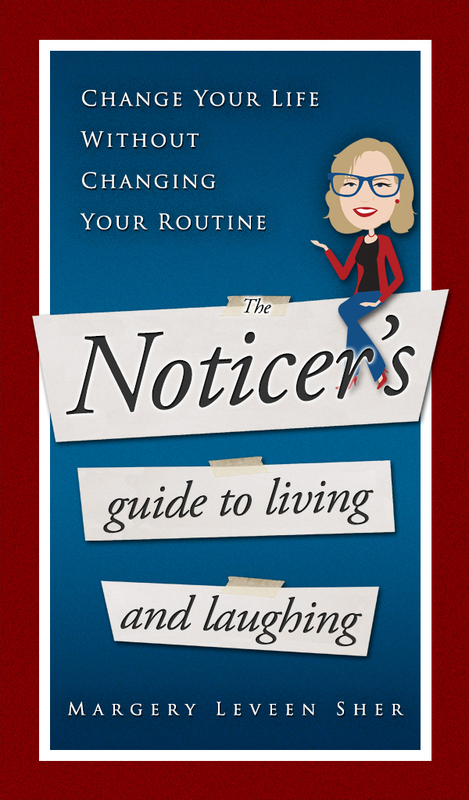 Plus, I really need to get back to publicizing my future bestseller, The Noticer’s Guide to Living and Laughing. Oh, and by the way, I sprained my ankle. And no, it wasn’t a result of skiing in the Alps…which would have been worth it. It was a result of falling off a curb in New Jersey. But see, just saying that word cheers me way up. Try it. Life is a balagan! Hey! Let’s have balagan parties! Have a mess of food and drink and lots of people and conversation and laughter and Noticings of all kinds. I can see Chinese food mixed with Indian mixed with tacos. I can see people wearing cocktail dresses and sweatpants. I can see CDs piled up for playing - Beethoven, hip hop, and Mary Had a Little Lamb. Balagan parties! C’mon over. Are you in?